Check out the official album cover for The Pretty Reckless' debut record "Light Me Up". Check out 30 second clips of the new songs featured on the Saturday's new EP "Headlines". Check out Usher's cover for his upcoming EP for "Versus". Not really a fan of this one to be honest Ush! I'm sure most of you have already seen the cover for Ciara's 4th studio album "Basic Instinct" but here it is anyway for those who haven't! The album is out on August 17th... so go get it! Selena Gomez & The Scene stopped by America's Got Talent last night to promote their new single "Round & Round". They did fantastic - and I'm completely addicted to this song. Here's Ellie Goulding's new music video for "The Writer", which is the 4th single from her #1 album "Lights". Kelis sat down with the New York Post to discuss her fifth album "Flesh Tone". The album was released in the U.S. this week, and the ever-changing singer discusses the album, the writers and the whole process of making "Flesh Tone". Gabriella Cilmi has announced that her new single from her second album "Ten" will be a double A-side of "Defender" and "Magic Carpet Ride". Discussing the video for the track with Digital Spy, Cilmi said: "I'd love to do a video for that song in a battlefield - nice and dramatic!" The final installment of the Harry Potter series - "The Deathly Hallows" - has had it's official poster premiered. The book has been split into 2 films which will be released in 2010 and 2011. Check out Nina Sky's new single cover for their latest single "You Ain't Got It (Funk That)", I love the 80s styling of it! Here's BoA's new music video for her latest single "Woo Weekend", check out the fun video below! Superstar Janet Jackson is the cover star of this month's Essence magazine. She looks as stunning as usual, can you all believe she is 44? Janet is headlining the sold-out Essence festival this summer, so be on the look out for some upcoming performances from Miss Janet! Britney Spears' latest commercial for her Candie's fashion range is beautiful, and Britney looks as stunning as ever, as she reveals her latest collection to her hit single "Piece Of Me". Check it out! 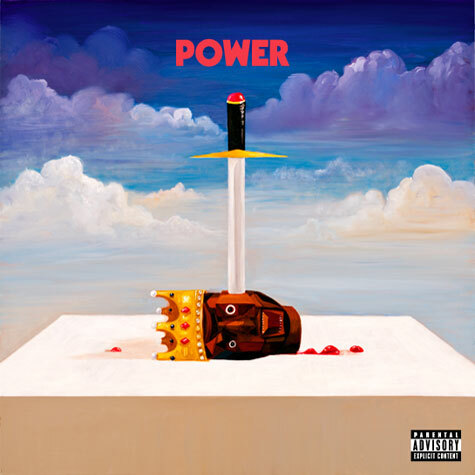 Kanye West's comeback single is "Power" and the arty single cover can be seen below!